"You're Voice in the Sons of Confederate Veterans"
I recently published a post entitled An Inconvenient Truth the subject of which was the recent controversy involving Southern Rock legends Lynyrd Skynyrd interview with CNN their distancing of themselves from the Confederate Battle Flag, fan outrage, and Gary Rossington’s (last original member of Lynyrd Skynyrd) clarification and pledge to keep flying the flag at their live shows. Today I want to take the discussion in a new direction, one that will most likely get me as much or more hate mail than it will positive responses. That being said, this is what I feel, and this is what I feel is right to say. 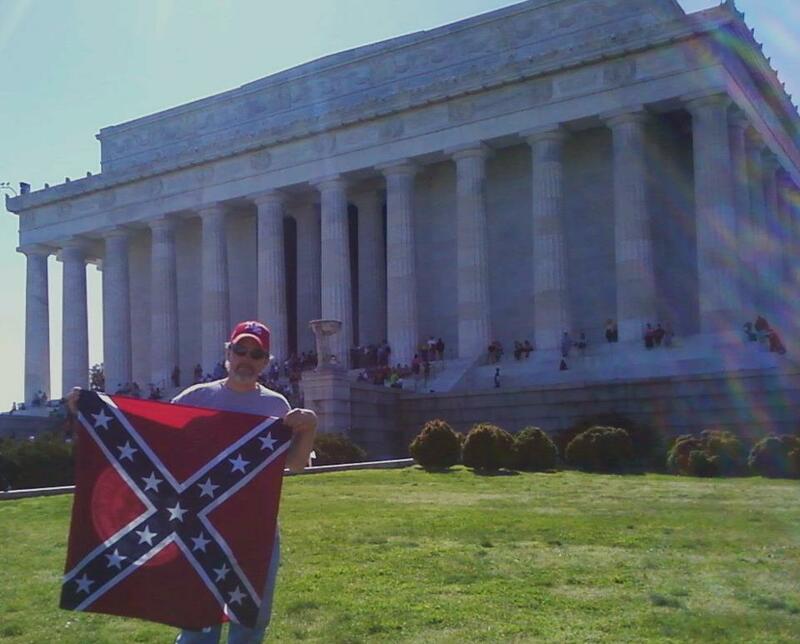 “I wanted to clarify the discussion of the Confederate Flag in our recent CNN interview. Myself, the past members and the present members (that are from the South), are all extremely proud of our heritage and being from the South. We know what the Dixie flag represents and its heritage; the Civil War was fought over States rights. It was good to know that so many of us spoke out and it was even better that somebody listened. Gary Rossington listened and tried to make things right, now where I come from, that’s all a man can do , or be expected to do. So why are so many of my Southern brothers in the ranks of the Sons of Confederate Veterans still raking him over the coals? I am the Commander-in-Chief of the Sons of Confederate Veterans. We are an organization, chartered in 1896 by veterans of the War for Southern Independence for the purpose of promoting the true history and principles of the Confederate soldiers’ cause. On behalf of our 31,000 members I write you today to express our deep sadness and concern over your present stance toward our venerable banner of the South. Your use of the flag in a manner that is up lifting and not aligned with any form of hate has been a stalwart defense of the flag’s true symbolism for many years. We appreciate and applaud your past efforts on behalf of our common ancestors. Our biggest concern comes from your statement on the 8th of September 2012 to CNN. You disclosed, “But I think through the years, you know, people like the KKK and Skinheads and people have kind of kidnapped the dixie rebel flag from the southern tradition and the heritage of the soldiers.” Sir, our ancestors wrote the definition of that flag with their blood and when they furled the flag at the last battle they tucked their God-given liberty inside. The KKK and the Skinheads do not define our flag any more than the NAACP or any other hate group. I am sure you do not agree with their hateful views of our flag, therefore I must ask you, who will stand up for the TRUTH, if not you and if not me? The answer is no one and without us the truth will be buried with the American Confederate flag. That is why we must not capitulate to their nancy demands. Like many men in my organization, your music has been the soundtrack of my life. Your songs have helped define my own identity and Southernness. I have been a fan from the beginning. I was at the second to the last concert of the original band in Johnson City, Tennessee. All my best friends were at the Greenville, South Carolina concert a few days later. Then, our lives were changed forever—some much more than others. We have always been there for you. Your fans have not let you down. Do not let us down. My fear is that you are living the song, WORKING FOR THE MCA and that Lynyrd Skynyrd has become the subject of a re-branding effort that hopes to make a kinder, gentler Lynyrd Skynyrd. I worked in the ad world for twenty years; re-branding’s not what we need. 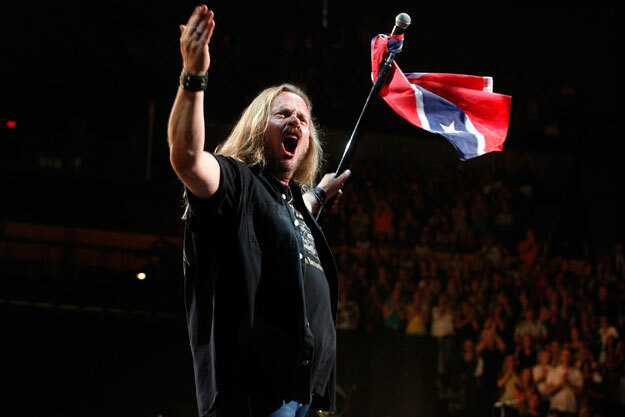 We need the honest and courageous Lynyrd Skynyrd. Stay true to your people. Commander Givens has also seemingly become obsessed with a few nameless individuals in the comments (all 53 of them) section on the band’s website www.lynyrdskynyrd.com stating: “My letter to Skynyrd has brought out the loons. Y’all might want to chime in”, as well as being obsessed with the the moderators on the site. Sir, perhaps Gary Rossington did some soul searching after the CNN interview and the backlash from the fans. The end result is that the band will once again fly the flag that has been the symbol of the band for over 40 years, and our heritage for 150 years. You , me, or anyone else for that matter has no right to demand what kind of merchandise they sell. The free market will determine the demand. Isn’t that what our ancestors fought the war to begin with? Besides, Gary Rossington isn’t telling us what merchandise to sell. 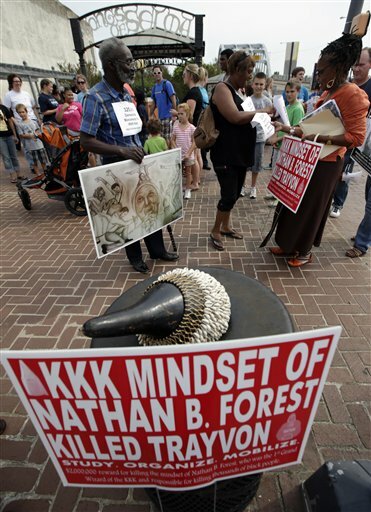 “Council members in an Alabama city voted Tuesday to stop a group’s work on a new monument honoring a Confederate general who was an early leader in the Ku Klux Klan. The Selma City Council voted 4-0 with two members abstaining to stop all work on the monument to Gen. Nathan Bedford Forrest until the courts decide whether the city or a Confederate heritage group owns the cemetery property where the monument would be rebuilt. The vote came after a group of protesters marched to City Hall. Demonstrations by civil rights groups about 10 years ago led to the relocation of a Forrest monument from outside a city building near downtown to a section of a city cemetery honoring Confederate war dead. But Forrest’s bust was removed and apparently stolen from atop a 7-foot granite memorial earlier this year, and efforts to rebuild it have drawn protests and calls by civil rights activists not to replace it. I ask you this; Who is more of a threat to our heritage? A group of friends who admit they were wrong and moves forward, or a group of well organized individuals, who will never admit when they are wrong and will not be happy until they destroy everything we hold dear? 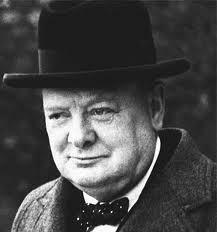 Great men like Churchill knew what honor and culture meant to Southerners. Great men like Churchil understood the principel of honor and culture.Special thanks to Facebook friend John Stones for sharing this great quote- webmater. Failed, Failed and then...successful at being a stealing, murdering, despot! Today is “tax day,” the first of which in American history was the work of — you guessed it — Dishonest Abe in 1862. It was The Great Railroad Lobbyist/Protectionist/Inflationist/Corporate Welfare Statist/Warmonger president who gave us the first “progressive” income tax. 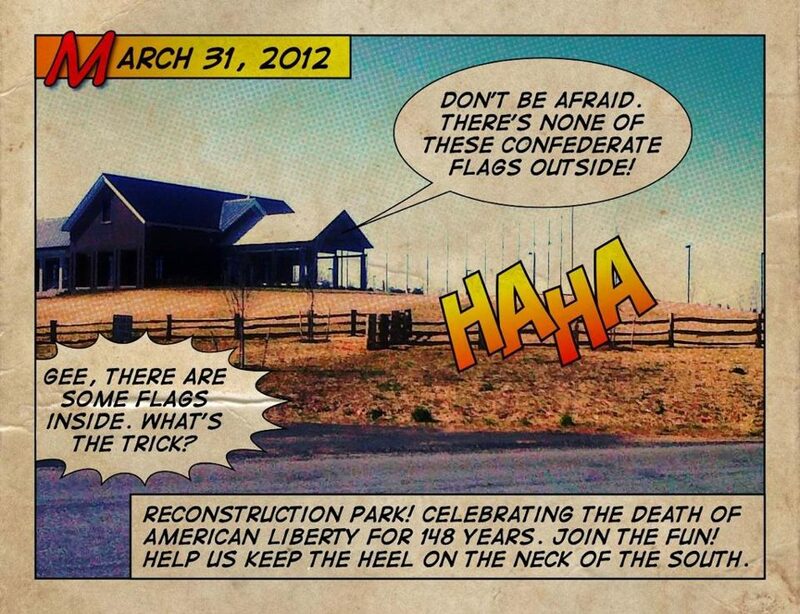 A very special “shout out” and “rebel yell” to Mr. Billy Bearden for “flagging” Abe Lincoln! Old Abe probably hasn’t had a day that bad since John Wilkes Booth administered his famous headache remedy at Ford’s Theater. Well the accusations abound that Across our Confederation is guilty of “Race-Baiting”. It reminds me of an article I read about liberals once upon a time. The just of it was that one can not win an argument against liberals because facts mean nothing. Facts mean nothing because liberalism is more than a political viewpoint, it is a religion to those who believe in it and the followers have enough faith in their “religion” to believe that if they keep repeating the lies, distorting the truth and manipulating the media enough, the world will see things how they want the world to see them. That might work for THEM but that is not how I see the world. I see the world for how it REALLY is. The criticism started rolling in as I published my series on the Trayvon Martin case Part I , Part II and Part III . 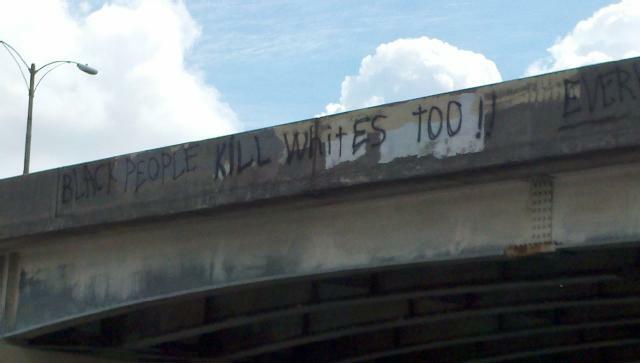 Race-baiting was the accusation made by certain liberal South-hating blogs. Excuse me, I am not the “race-baiter” I expose the race-baiters. Maybe Al-Sharpton didn’t call for an expanding of civil unrest. Maybe a rap group didn’t put out a video calling for riots and hurting white children. Monuments were being defaced prior to Trayvon’s death. That being said, the militants who dawn their hoodies on their head, (a spray can in one hand and a pack of “Skittles” in the other) as a sign of solidarity for their fallen martre, feel even more embolden and justified in doing so. No thanks to anti-Southern bloggers such as Kevin Levin over at Civil War Memory who suggests that the monuments are a result of a “history of racial tension” . Can I label men like Levin “Yankee -Baiters”? This isn’t going away and there is no reason to hide your head in the sand and pretend it is. Call me what you want, the fact is, I really don’t care what you call me but one thing is for sure, you won’t find me wringing my hands at the matter, questioning the “history of racial injustice” as thugs continue to vandalise monuments to the Confederate veterans, distribute rap songs that call for physical harm of white children, or insinuate that if we all don’t beg for forgiveness from Trayvon that white people are going to die.-webmaster. Why isn’t the Museum of the Confederacy going to fly Confederate Flags? Are YOU mad enough yet? Call (804) 649-1861 and ask the Museum of the Confederacy WHY there will be no Confederate Flag flown at the Appomattox location! Email Linda Lipscomb, Appomattox site director llipscomb@moc.org. Send a fax to: (804) 644-7150. If you live anywhere near Richmond, stop in and ask them in person! If you are a member, cancel your membership…tell them why…and demand a REFUND!-via Southern Heritage Preservation Group. 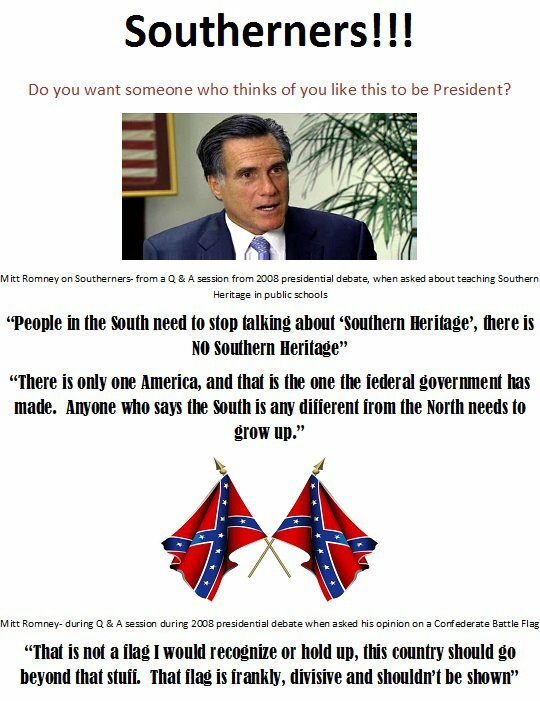 Southerners: Will Romney represent you? Well Mr. France; Did you get this “diversity thing” right? Did you achieve what you wanted to for this sport? Because if your Drive to Diversity program was rolled out so that Latin-Americans could roll into dryer trucks filled to the brim with jet fuel you can give yourself a pat on the back. “WHAT A SPLENDID display of driving, Mr. Montoya. No worries, you can still probably get a job driving an 18-wheeler in Pennsylvania. Home > Thought For The Daytona 500: Will Diversity Kill NASCAR? The 54th Daytona 500 , the granddaddy of all NASCAR races, kicks off the 2012 calendar season on Sunday, February 26. During the last thirty years, NASCAR’s devoted fan base helped propel it to become the unquestioned king of American motor sports. Less than a decade ago, NASCAR seemed poised to challenge  the National Football League (NFL) for sports-entertainment dominance. The apex of the sport seems to have been in 2006 when the movie Talladega Nights was released. NASCAR signed an eight-year, $4.5 billion contract around this time and Forbes declared it was the “fastest growing sport in America .” Since that moment, ratings and attendance have collapsed , with only the white female Indy-racing crossover star Danica Patrick able to pop ratings . But few dare point out a key “disconnect” between NASCAR and its fan base: the organization’s new-found fashionable obsession with “diversity”. Finally, some readers pointed out that the answer was staring me in the face: because white American guys  always win. Heck, the drivers  are almost all British-Americans with a sprinkling of German-Americans  like the Earnhardts . NASCAR is what social psychologist Kevin MacDonald  has called an “implicit community ”—a place where similar people gather for unconscious, but for nevertheless evidently powerful, reasons. As much as any sport in America, NASCAR has roots tied to a specific culture: white Southerners. Going to a NASCAR event, regardless of the city, was like joining a non-stop rock ‘n’ roll party, complete with Confederate flags, beer, fun, and the potential of seeing cars crash going in speeds of excess of 200 miles-per-hour. But since taking over as NASCAR CEO in the early 2000s, Brian France  has apparently decided that diversity is a much more important goal than keeping the long-time fans of the sport happy. In 2004, France instituted the Drive for Diversity  program, which had the stated goal of increasing minority and women in NASCAR (whether it be in ownership, a driver, or a crew member). – Hispanics: Having Hispanic heritage from any of the Spanish-speaking areas of Latin America or the following regions: Mexico, Central America, South America and the Caribbean basin. – Native Americans: Persons who are American Indian, Eskimo, Aleut or Native Hawaiian, and regarded as such by the community of which the person claims to be a part. Native Americans must be documented members of a North American tribe, band or otherwise organized group of native people who are indigenous to the United States. White males, in other words, need not apply. In 2008, a $225 million lawsuit  against NASCAR by disgruntled black employee Mauricia Grant was settled out of court. Liberal sports writers and pundits jumped on the lily-white sport, shocked that in our progressive times the Confederate Flag would still fly proudly at NASCAR events . The good ol’ boys at NASCAR  who still wave the Rebel flag are soon going to have to deal with the NAACP , which is fighting to end the display of the Confederate symbol from racing events in South Florida. 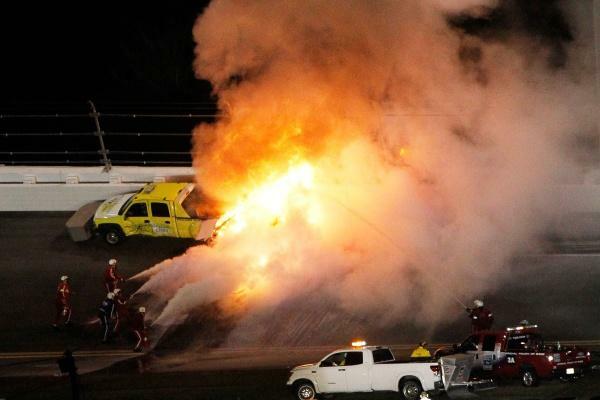 NAACP officials said they’re reaching out to racing officials to get the ensign banned from the Homestead-Miami  Motor Speedway, where many NASCAR events take place. “We intend to notify NASCAR about the troubling racial discord we have here in Homestead, and we would like their support,” said Rosemary Fuller , a longtime member of the Miami-Dade NAACP. When the Dukes of Hazzard was on TV from 1979-85 virtually every episode featured a chase scene of some sort with the show’s trademark car, the General Lee. But now NASCAR has ruled the famous Dodge Charger shouldn’t be seen at any of its races. Pro golfer Bubba Watson purchased the original General Lee at auction  recently, and had been scheduled to drive it on the parade lap before the March 4 Sprint Cup Series race at Phoenix International Raceway. But NASCAR has rescinded the invite, because of the car’s roof has a replica of the Confederate flag, which some fans might consider offensive. “The image of the Confederate flag is not something that should play an official role in our sport as we continue to reach out to new fans and make NASCAR more inclusive,” NASCAR spokesman David Higdon said in a statement today. The intensifying jihad against the Confederate flag is one of the curiosities of America’s current Political Correctness frenzy. Although the flag was considered inoffensive when the TV show was aired in the 1970s, the 2004 Dukes of Hazzard film had Hollywood executives nervous. [Flag Wavering: Adapting ‘Dukes of Hazzard’ Proves Tricky for New Film; Car as Old South Symbol? , By John Lippman, Wall Street Journal, December 24, 2004]. But that was Hollywood . This is NASCAR. Now the Battle Flag has been banned by a sport whose financial fortune was built upon white Southerners—and without whom there is no reason to suppose it will thrive. As a symbol of opposition to the soft totalitarianism that is political correctness and the official federal and state policy of coerced diversity, the Confederate flag represents something tangible in 2012—above all to white Southerners. That’s why even the sight of it on the top of the “General Lee” at a NASCAR event must be banned, even if it insults NASCAR’s most devoted fans. But if you severe the roots of anything, it will die. Even NASCAR. Paul Kersey[Email him ] is the author of the blog SBPDL , and has published the books SBPDL Year One , Hollywood in Blackface  and Captain America and Whiteness: The Dilemma of the Superhero . Kevin Levin a "historian" who is embraced by the mainstream for his denigration of Black Confederates. Historian Kevin Levin has made into the very distinguished ‘The Atlantic’ magazine. The subject? Black Confederates of course. Or should I say the denigration of African-Americans contributions to the Confederacy? The real reason “Lincolnites” like Levin must belittle the contribution of African-Americans in the Confederacy is because in order to maintain the “myth” of Honest Abe the Emancipator the war has to be about slavery. African-American Confederate Veterans can not be given the respect they deserve because if they are, people will question the real reasons for the war. Taxation, states rights, constitutionalists versus those who favored giving more power to a central government these were the reasons for the war then and they are reasons for the ongoing political fight in this country now. Yes, African-Americans were impressed for service into the Confederacy just as they were “liberated” and given the opportunity to “fight for their freedom” by the Federal Government of the North. Just as both White and Black men were “drafted” into the service up to and through the Vietnam Conflict. Does this mean that any soldier impressed into service should not be honored for their service? Of course not. Lincolnites like Kevin Levin deliberately , conveniently do not mention men like John Noland, Henry Wilson and John Lobb. All three of these men were from Missouri, fought with William Quantrill and were black. In the book “Quantrill at Lawrence” author Paul R. Petersen gives a detailed account of the contribution of these Black Confederates. Petersen’s book also gives great information for anyone wishing to set the record straight as to the practice of being “impressed” into service writing of Henry Wilson , Petersen notes that: “Wilson was kidnapped by Jayhawkers early in the war and was on his way to Kansas when he escaped. Wilson who lived near Independence chose to remain in Quantrill”s band rather than accept his freedom. He told those around him, ‘ I observed with my own eyes , the stealing, plundering and burning of homes of the people of this country by bands of ‘Red Legs’ even to the enticing of slaves into Kansas. I joined Quantrill when Master Wilson moved to Texas to run the blockade at Independence, carrying supplies to Quantrill and his men”. Of Lobb, Petersen writes that: “John Lobb was also sent into Lawrence, but William Gregg remembered, “Lobb did not get back before we had started. He met us on the way and told us that Lane had left town”. There you have it. Three men. Three Black men who fought for the Confederacy under Quantrill. All three entrusted to scout the town of Lawrence, Kansas prior to the great raid at great personal risk to themselves. All three men, who voluntarily fought for the Missouri guerrilla fighter. It is quite the story. A story that Lincolnites like Kevin Levin do not want others to hear because it raises questions as to the real reasons of the war and exposes the myth of Lincoln being the “Great Emancipator”. 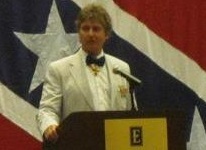 Serves as the Press Officer for the Colonel John T. Coffee Camp #1934, Missouri Division, Sons of Confederate Veterans. 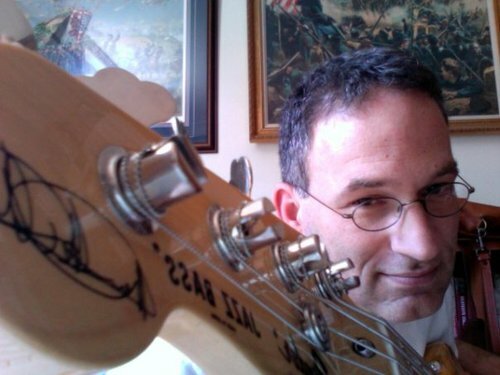 Perennis Articles about Politics, Heritage and Culture by Ozark essayist David S. Reif.